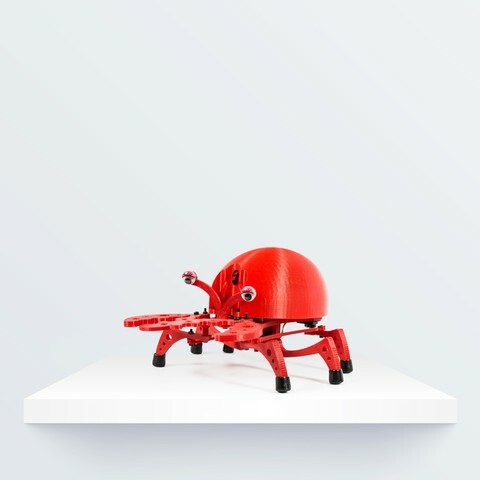 The PrintBot Crab is an educational curriculum that can be used as a heap and can grab objects with its pincers. This modular robot has been designed to attach other components such as LEDs, push buttons, buzzer, And other sensors included in the product "My first robotic kit" distributed by bq. See the attached pdf (in Spanish). Pictures are clear enough to follow the steps even if you do not understand Spanish. Attached you will find the Arduino programs. The main program uses the Oscilator librarie based on Ardusnake made by obijuan.